Product categories of Daily Commodity, we are specialized manufacturers from China, Soap For Washing, Different Designs Jeans suppliers/factory, wholesale high-quality products of Alcohol Free Formula R & D and manufacturing, we have the perfect after-sales service and technical support. Look forward to your cooperation! We can provide Various products of Daily Commodity, providing product images and basic parameters with each Daily commodity; such as Soap, Sanitary Napkins, Baby wiper and Baby diapper and we have differemt kinds of jeans for you to choose. NINGBO TANA INDUSTRY& TRADE CO,. Ltd. dated from 2007 and it exports all necessities (machines, fabric and other accessories) in mattress factory, a variety of machineries and industrial production lines, chemical products and daily consumer goods from China. For now we have customers from more than fifteen countries, including USA, UK, Switzerland, Portugal, Australia, Indonesia, Guinea Conakry, Mail, Niger, Burkina Faso, Gabon, Togo, Cote d'Ivoire, Senegal, Algeria, etc., and we have proved our speciality and strength since our establishement. Rich experience in dealing with local African people leads us to this business. Our efficient procurement team guarantees a quick and comprehensive solution with a reasonable price; our experienced quality control team guarantees the quality by inspecting the products and monitoring the loading process; and our long-term cooperative logistics company guarantees shipping in a shorter time and a more reasonable price. We assure you excellent quality products, superior customer service and on-time delivery. We sincerely hope to establish a long-term relationship with you. 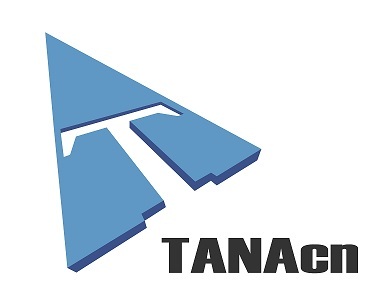 TANAcn is committed to create a better future through hard work and innovation. Together with you, we are looking forward to building a better business environment. 3. We offer one year's warranty for almost all of our products, and if customer needs some help, we can also send our engineer to help with it.